Political commissar [політичний комісар; politychnyi komisar]. 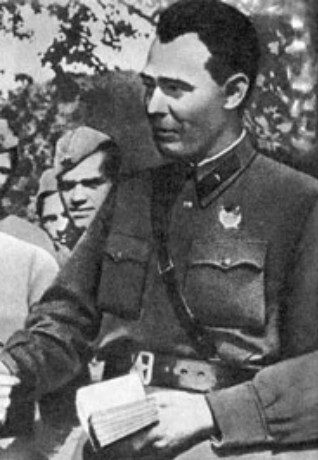 The political representative of the Communist Party of the Soviet Union in the Soviet Army. Political commissars began to be appointed at the higher levels of the army in 1918 and at units smaller than a battalion (where they were called politruky) at the end of 1919. These officers came under the chief political administrations of the army and navy, and functioned as representatives of the Communist Party conducting propaganda and ensuring that Party policy was followed. Until 1924 the commissars and politruky, who usually lacked military competence, were equal in rank to the military commander of the unit and could even veto his orders. This state of affairs caused much tension in the armed forces, because professional officers resented heavy-handed political interference. Then a system of unitary command was adopted, and the commissars were subordinated to the military commanders. In 1937–40, following the massive purges that swept the military in the mid-1930s, and again in 1941–2, following the Soviet entry into the Second World War, political commissars were restored to the rank of co-commander. In October 1942 the unitary command system was reinstated, and the political officers were redesignated deputies to the commanding officers (zampolity). After the Second World War political commissars were recruited from among serving officers and were men of superior ability and achievement. They were given a military rank but were exempt from normal military activities.